And the thermosphere can be further broken up into the ionosphere and exosphere. We know all of our weather occurs in the atmosphere. But in which atmosphere layers? Let’s dig a bit deeper in the purpose of each atmosphere layer and how does it relate to Earth. 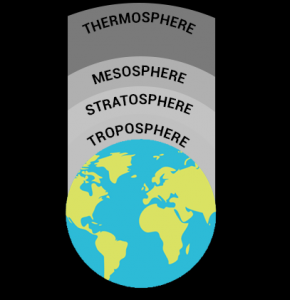 The troposphere is the layer that we live in. The troposphere starts at ground level and extends about 12 km upwards. This is where all weather occurs and it’s the air that we breathe. A significant amount of the troposphere is just 2 gases. For example, 78% of is nitrogen and 21% is oxygen. For the remaining 1%, it’s mostly argon and carbon dioxide. Whether it’s from agriculture, vehicles, electricity or natural disasters, these major sources of air pollution emit from the ground into primarily the troposphere and stratosphere. 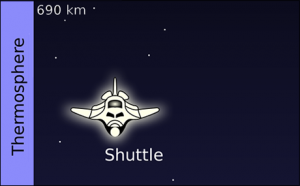 From about 12 km to 50 km upwards is the stratosphere. In this layer, the jet stream blows strong winds eastward. Airplanes use this layer of the atmosphere when they travel from west to east. It gives an extra push on its tail which helps it move faster. It also has the ozone layer, which absorbs harmful radiation from the sun. This includes UV rays. But in the south pole, there is a hole and if it enlarges could cause issues. The mesosphere is the coldest region of Earth’s atmosphere. It’s somewhere close to -100 degrees Celsius. 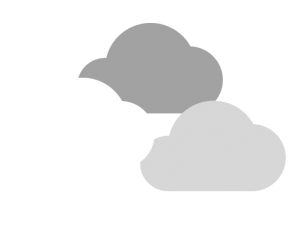 In the mesosphere, scientists send unmanned balloons to measure the temperature. Actually, this layer also protects the Earth from large meteoroids. The friction within this layer causes meteors to burn up. The thickest layer in the atmosphere is the thermosphere starting at about 80 km going upwards. This is where the UV radiation from the sun turns to heat causing the air to be very hot. It can reach temperatures up to 1500 degrees Celsius or more. Actually, the thermosphere has 2 layers of its own called the ionosphere and the exosphere. The ionosphere is where the sun’s radiation causes particles to be electrically charged, hence the term ‘ion’. Actually, this is where the sun flows with spectacular light shows for the Aurora Borealis or Northern Lights. Finally, the upper part of the thermosphere is the exosphere starting at about 550 km. It’s a very thin part of the atmosphere where satellites can freely orbit the Earth.